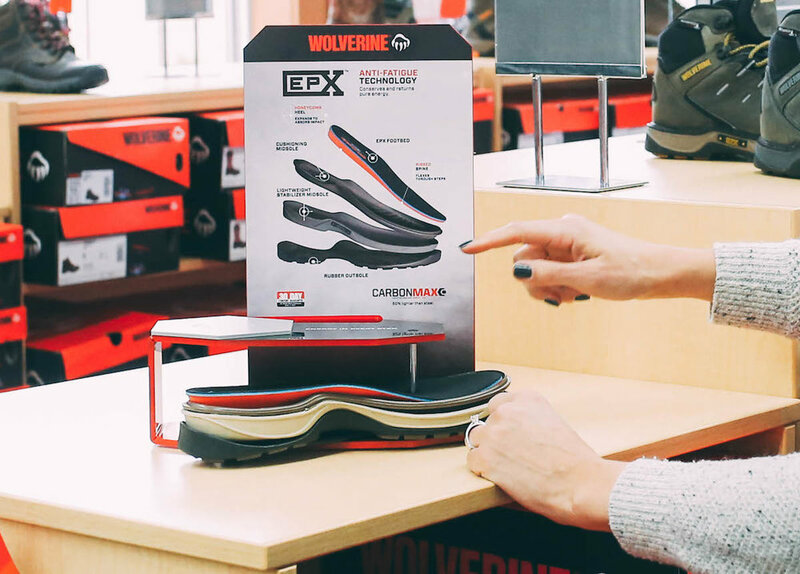 Wolverine partnered with AXIS to create an interactive slatwall and counter display showcasing the Wolverine brand and demonstrating the footbed and sole elements that make up the EPX Anti-Fatigue Technology. It was required that the design of this display focused on engaging the customer. 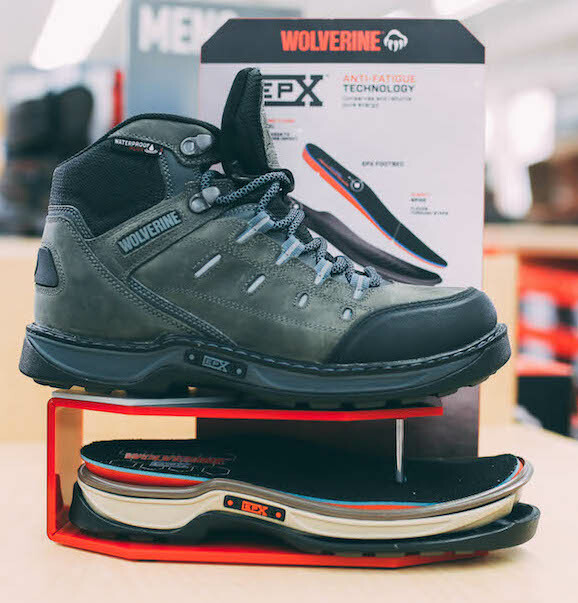 Wolverine desired shoppers to have the ability to interact with, touch, and demo the technology and boot in a very real way. AXIS developed a shoe display that took visual cues from the honeycomb pattern on the footbed. A rear back panel provided messaging above a cantilevered boot riser, and the actual footbed and sole samples were oriented under a riser and threaded around a support post. 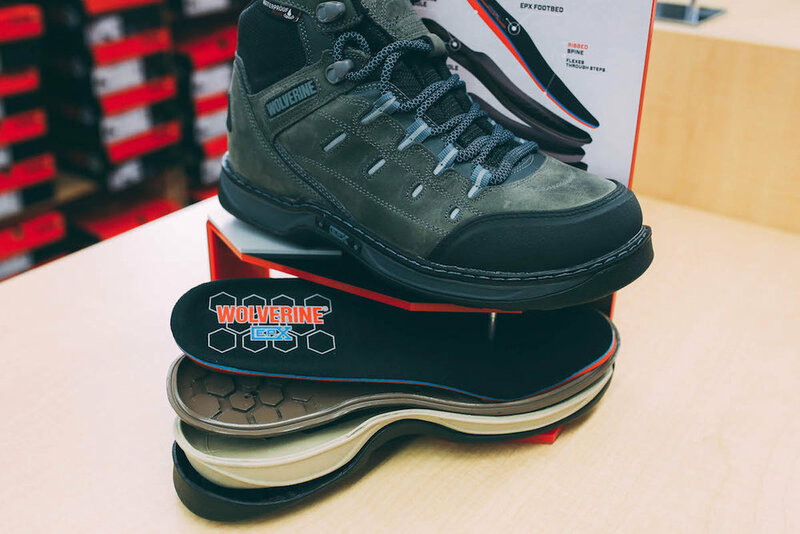 This configuration allows the shopper to see and feel the multiple layers of the footbed.